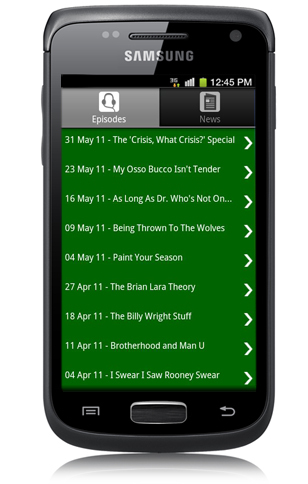 Now your favourite football podcast now has a range of apps to accompany it and make it easier to access from your iPhone, iPad, Android or Samsung bada phone FOR FREE! Mark Webster takes a weekly look at what’s going on in soccer and is not afraid to blow the whistle on the controversies the newspapers are too afraid to report! Hear the latest podcasts, get access to the archives and exclusive extra content and all the latest football news from the The Guardian, Telegraph and the BBC. 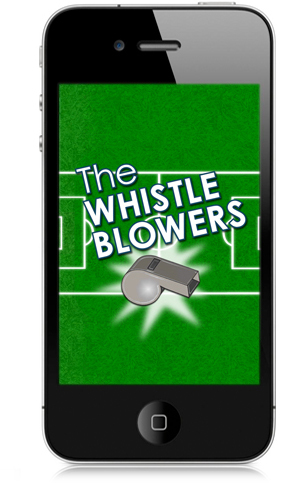 Join him and his regular celebrity guests on The Whistleblowers to see what the hell you’ve been missing!